Thank you for visiting my page! My name is Corrie Hall. I’m a native of Blacksburg, Virginia, but moved to Macon in 2008 to attend Mercer University’s Walter F. Georgia School of Law. I graduated law school in 2011 and started my career at James-Bates-Brannan-Groover-LLP in Macon. Eight years later, I’m happily married to Landon Hall, a Macon native, and celebrating my first year of partnership with James Bates. In my free time, I enjoy travelling, tennis, home renovation projects, and frequenting Macon’s downtown restaurants and events. However, what is most important to me is my family and friends and the time I spend with them. Several of my loved ones were diagnosed with dementia or Alzheimer’s and battled these diseases for several years. I know firsthand the devastation that these diseases cause. I felt unprepared to see the lights dim in my loved ones’ eyes and confusion reign. I am dancing in honor of those I have lost already and to help reclaim the future for those who currently or may battle Alzheimer’s. 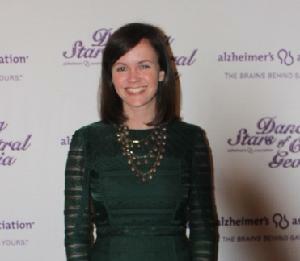 By participating in this event, I'm committed to raising awareness and funds for Alzheimer research, care and support.